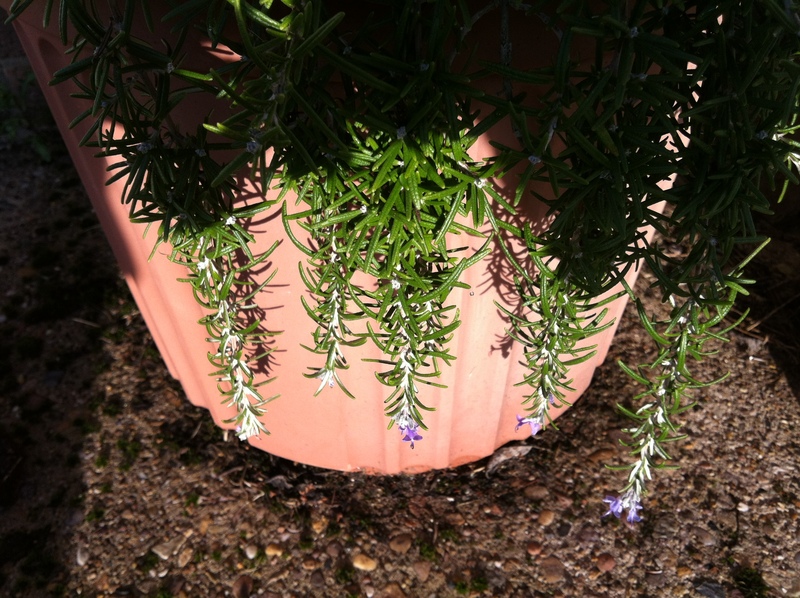 I hope you can see the delicate blue flowers on this rosemary plant. The bright sun was behind me casting my shadow onto the pot. 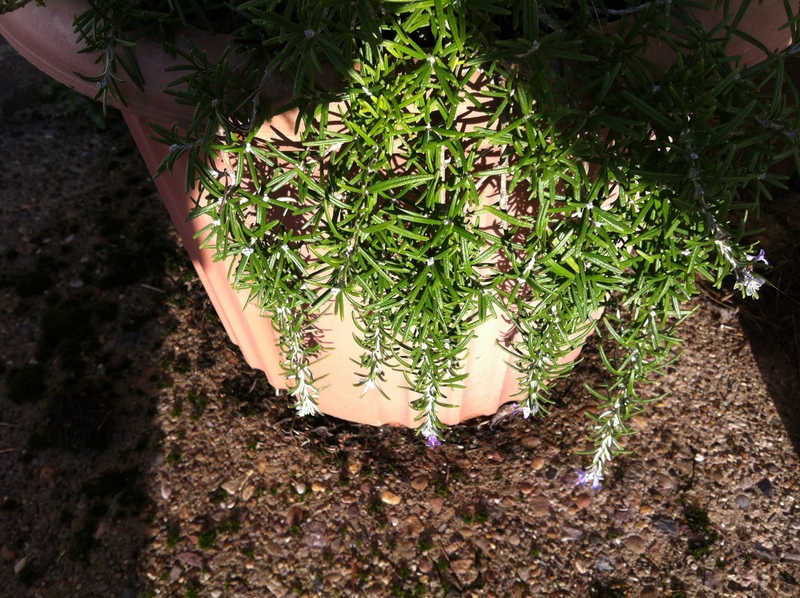 When I bought the rosemary along with other herbs to plant up together in a big tub, I didn’t know it was one that trails & I love it. This mini herb garden is in the sunny corner outside my back door, ideally situated to reach out & pluck a few fragrant stems for cooking. It’s sheltered, but I didn’t expect flowers in winter & happened to notice them on the coldest day of the year. I’d just come back from a walk in the ice & snow with the dogs, who were fascinated to know why I was on my knees & getting in the way of my shot. I don’t know how long they’ll last, but they are a delight to see when I go out.